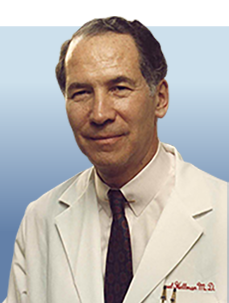 Samuel Hellman, MD, served as dean and A.N. Pritzker Professor of the Division of Biological Sciences and the Pritzker School of Medicine at the University of Chicago, and as vice president for the university. Joined leading oncologists in the United States, Europe, and Canada in the 1970s and 1980s in pushing for breast cancer treatment with biopsy or limited tumor removal with radiation therapy instead of radical mastectomy. Promoted and participated in noteworthy breast cancer studies into conservative management techniques and the natural history of regionally treated disease, and in studies of prostate cancer and lymphoma. Appointed as founding professor and director of Harvard University’s Joint Center for Radiation Therapy and as the Alvan T. and Viola D. Fuller-American Cancer Society Professor, and as chairman of the Department of Radiation Therapy at Harvard Medical School. Authored or co-authored approximately 262 scientific articles including serving as co-editor of the standard-of-care textbook, Cancer: Principles and Practice of Oncology. Served as president of both the American Society for Therapeutic Radiology and Oncology and the American Society of Clinical Oncology.